The playful yet practical Honda Fit is back. 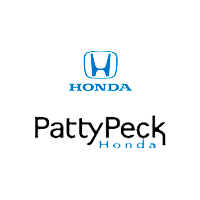 Our Honda dealer near Jackson believes that everyone deserves their own perfect fit. That’s why when it comes to purchasing your next vehicle you’re looking for the complete package that offers style, performance, and technology to keep you ahead of the curve. Well look no further, new or used, the 2016 Honda Fit always offers fun behind the wheel and proves that great things come in small packages! Don’t let the smaller stature of this subcompact fool you, as it has the power under the hood to get you where you need to go. You’ll have fun accelerating on the fast lanes, while remaining fuel-efficient so you can save some green. Under the hood lies the in-line 4-cylinder engine that produces 130 horsepower at 6,600 rpm. Add in environmentally friendly technology like the Eco Assist™ and the ECON Button, and your vehicle produces results while helping the environment. Jackson area Honda drivers will travel for longer with the EPA estimated 41-mpg highway rating of the Honda Fit! Climb aboard the 2016 Honda Fit and you’ll travel in a unique ride, who’s personality is unlike anything else on the road. It sits sporty and athletic, as the smooth lines and sweeping contours add to its style. Four doors are so boring, so travel with the Fit’s fifth door that lets this hatchback stand out on the road. Inside you’ll have more than enough room with a spacious cockpit that puts you in complete control. With seating up to five and the available leather seats, everyone comes along while riding in supreme comfort. When it comes to your gear, your Fit gives you four different modes for different cargo settings. Put down the 2nd Row Magic Seat® and you’ll even be able to fit a bike. With the Long and Tall modes, you’ll be able to create nearly four feet of vertical space! Refresh mode isn’t so much for your gear, but more so for your backseat rider to catch some R&R. Remove the headrests and fold the front seat back flat to recline in the backseat for a VIP ride. Sync up with the cutting edge 7-inch touch screen to connect to your vehicle. It’ll give you access to your favorite music, podcasts, and a number of apps. Swipe over to the Honda Satellite Navigation System with HD Digital Traffic to make all your trips easier, as you stay ahead of the pack with live traffic updates. Never lose touch when you access the HondaLink® Next Generation and the Bluetooth® connectivity that will even read your text messages aloud. Travel with the assurance that Honda has your back when you hit the streets in the Fit. It all starts with its construction. The ACE™ Body Structure distributes frontal crash evenly, so in the event that something does happen, you’re in good hands. Features like the Vehicle Stability Assist™, Multi-Angle Rearview Camera, and the Honda LaneWatch™ all aid in your travels and keep you riding right. Shoppers to should stop by our Honda dealer near Jackson to see if the 2016 Honda Fit is perfect for you. If you have any questions or concerns, pick up the phone and give us a call at (601) 957-3400. Gas Mileage Est: 29 city/37 highway/32 combined mpg rating for LX and EX 6MT models. 33 city/41 highway/36 combined mpg rating for LX CVT model. 32 city/38 highway/35 combined mpg rating for EX and EX-L CVT models. Based on 2016 EPA mileage ratings. Use for comparison purposes only. Your mileage will vary depending on how you drive and maintain your vehicle, driving conditions and other factors.